The Advanced Manufacturing Apprentice Academy's role will be to create a pipeline of workers with factory-ready skills and credentials needed for high-paying manufacturing jobs. WASHINGTON — The Commonwealth Center for Advanced Manufacturing has received a total of $12.65 million to fund the construction of an apprentice academy in Prince George County, Virginia. The funding includes a $3.15 million grant from the U.S. Department Commerce’s Economic Development Administration, and $9.5 million appropriated from the Commonwealth of Virginia. The Advanced Manufacturing Apprentice Academy‘s role will be to create a pipeline of workers with factory-ready skills and credentials needed for high-paying manufacturing jobs. The grants allow CCAM to begin construction of the Academy. “Automation and outsourcing jobs to low-cost countries, which negatively impact manufacturing employment, can only be addressed by providing our workers with up-to-date skills required by the marketplace,” said William Powers III, president and CEO of the CCAM. CCAM was established in 2011 to bring together industry, schools and government to address advanced manufacturing challenges. CCAM intends for the academy to create cutting edge, industry-driven curricula. Its first three programs will include machinery, welding and mechanatronics (the combination of factory floor mechanical production with computers), with certification defined by the National Institute of Metalworking, the American Welding Society and the Siemens Mechanatronics Systems Certification program. In addition to classroom time, it will also include paid apprentice positions. “Access to a skilled workforce is a key deciding factor for businesses choosing to locate or expand in the area,” said Renee Chapline, president and CEO of Virginia’s Gateway Region Economic Development Organization. 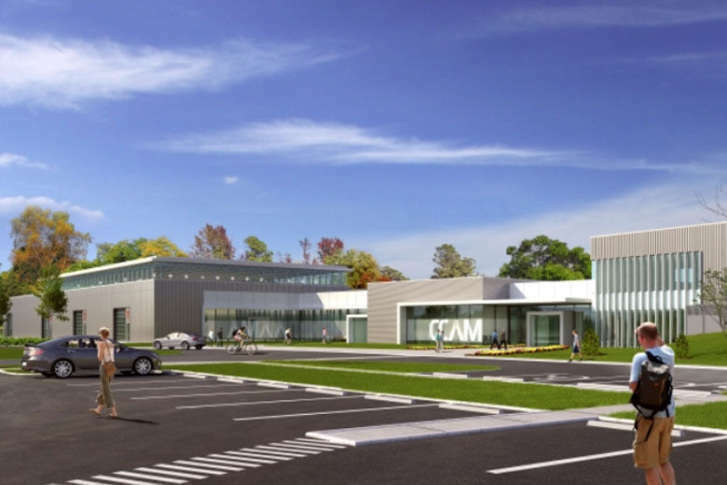 CCAM expects to break ground within a year and open the facility within two years. It will be located at 5520 West Quaker Road in Prince George, Virginia. CCAM already has a 62,000-square-foot advanced manufacturing facility at that location with labs and production space. The academy will train up to 200 students at a time.